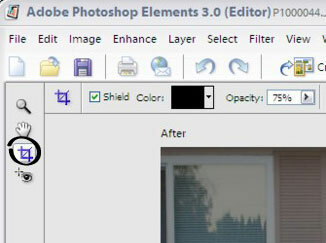 The Crop tool’s icon, shown in this figure, appears in Element’s left column of tool icons. 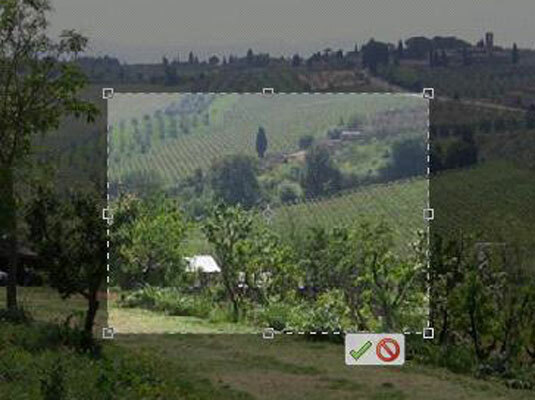 Place the Crop tool cursor at the point within the image where you want to place the new upper-left corner. Starting with the upper left corner means you’ll be cropping down and to the right. 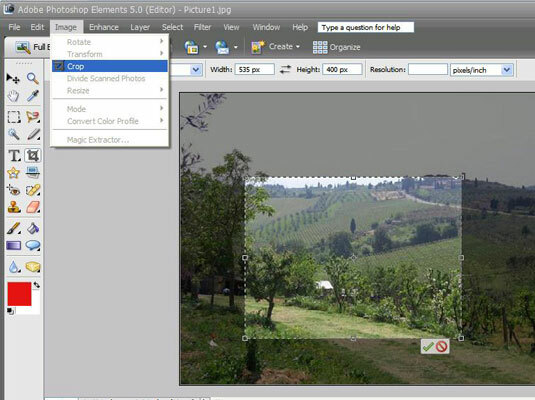 Click and drag the cursor down and to the right until the dashed-line box encloses the part of the image that you want to keep. 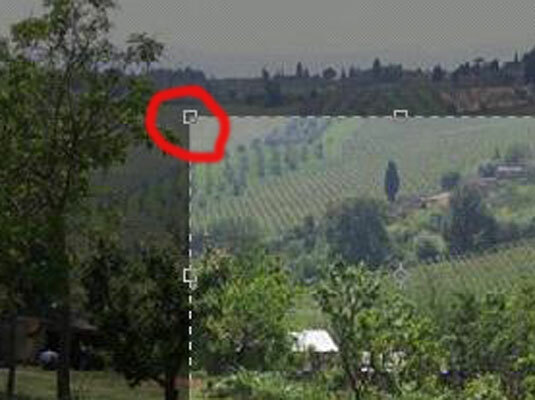 This figure shows the selection box around a portion of the image. The selected area remains visible, as shown in this figure. 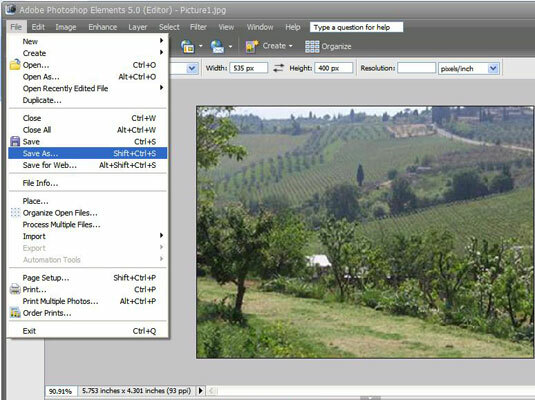 The image is cropped to the selected area, as you can see in this figure. 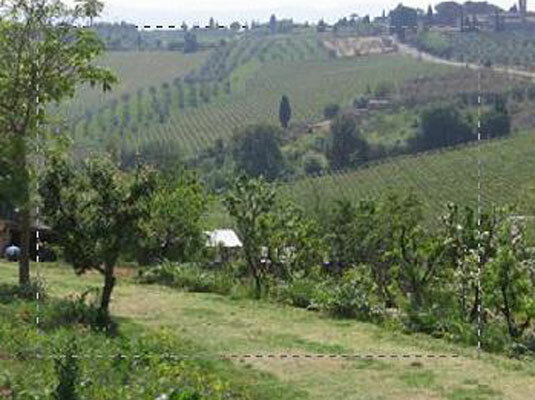 Your image file now contains only the cropped portion of the picture.